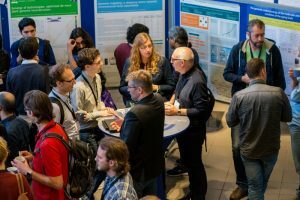 Join us in Amsterdam on 7 & 8 December for a series of free workshops and a mini-symposium on exciting developments around Open Science for Eco-Evo research. Workshops will offer training in several aspects of Open Science that can greatly benefit researchers: use of Open Data in research, conducting reproducible analysis, adding value to your code, funding opportunities in implementing Open Science and others. Workshops will be preceded by a mini symposium (half-day), iintroducing Open Science from a perspective of early-career and established ecological researchers and frontline advocates of Open Science. NIOO-KNAW and DANS-KNAW are the main organizers of the workshop. Our plenary speakers for the mini symposium include ecologist with the interest in Open Science, and Open Science advocates. Our trainers expertise covers a range of Open Science tools and practices, with a specific focus on ecological/evolutionary research.